Although Los Angeles has lost the singer-songwriter to New York City, he bookends the world tour in support of his eighth studio album, March's Mala, with SoCal dates, including tonight at the Fonda and Aug. 24 at FYF Fest. 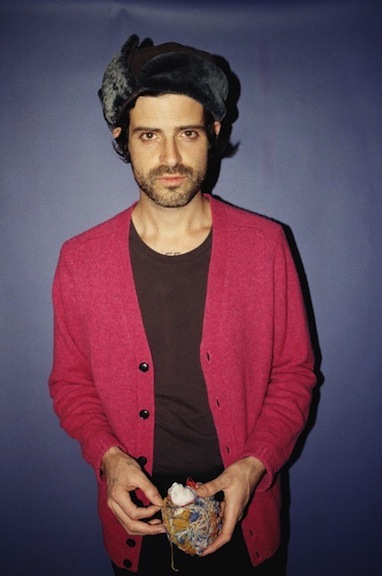 I would opt for the show this evening, though, because there's nothing like experiencing Banhart's distinctive falsetto warble on older tracks, his sultry croon on newer songs such as "Mi Negrita" and overall charismatic onstage presence in a setting as intimate as the small theater. He's been known to invite the entire audience up on stage with him to sing along, so it should prove to be an awesome night. To celebrate the 30th anniversary of both films, American Cinematheque presents a Francis Ford Coppola/S.E. Hinton/Matt Dillon double feature. The evening begins with a screening of the author's watershed work, The Outsiders, which she penned while in high school. Coppola directs an all-star cast that includes C. Thomas Howell, Ralph Macchio, Diane Lane, Rob Lowe, Emilio Estevez, Patrick Swayze, Tom Cruise and Dillon, who portrays the roughest Greaser, Dallas "Dally" Winston. Stay Golden, Ponyboy! Then, Coppola adapts another Hinton novel and reunites with Dillon (and Lane) in the black-and-white Rumble Fish, which also stars Mickey Rourke, Dennis Hopper, Nicolas Cage and Tom Waits. It's virtually impossible to keep still and not sing along whenever Grammer's monster hit "Keep Your Head Up" from his 2011 self-titled debut comes on the radio. I'm not the only one who feels this way, since the album has gone platinum. The Los Angeles native actually started out busking on the Third Street Promenade in Santa Monica, and he's certainly come a long way since then. However, he can still lure a crowd into the palm of his hand during his performances. Just spend the night with him at the Fonda and see for yourself. 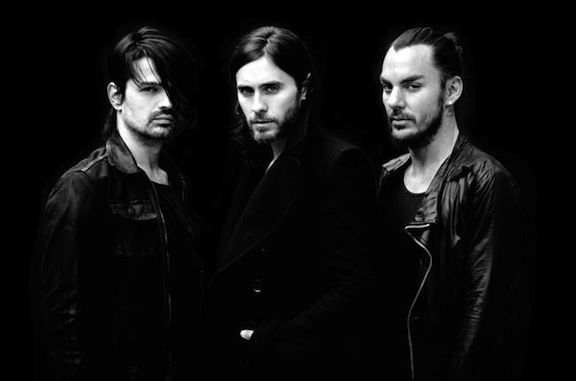 Speaking of Jared Leto, it's hard to ignore the posters and billboards all over town for Thirty Seconds to Mars' new album, Love Lust Faith + Dreams, which released earlier this week. The trio headline KROQ's 21st annual event with the Black Keys, Vampire Weekend, Of Monsters and Men, Jimmy Eat World, Silversun Pickups, Imagine Dragons, AWOLNATION and Atlas Genius. Fitz & The Tantrums, the Neighbourhood, C2C, Capital Cities, New Politics and Twenty One Pilots are set to appear on the side stage. If you don't feel like heading down to the OC, then head over to the Satellite for either one of the Pennsylvania foursome's two-night stand. They just released their first album in over 10 years in March, and Ultramarine's 12 tracks mark a return to form, as well as a beginning, for the band. Old and new fans alike should anticipate dancing along to songs from their entire catalog. The Cinespia season at the cemetery is once again in full swing for the season, and this weekend's feature is Mary Haron's adaptation of the chilling Bret Easton Ellis novel. The film from 2000 stars Willem Dafoe, Jared Leto, Josh Lucas, Chloë Sevigny, Reese Witherspoon and Christian Bale in an unforgettable turn as the sociopathic Patrick Bateman. As always, bring a picnic dinner, bottle of wine and some blankets to hide your face during the bloody parts of the modern horror classic. DJ Jun spins before and after the screening. The England transplant blesses her adopted hometown with a show at Hollywood Forever in anticipation of the May 28 release of fourth album, Once I Was An Eagle. The award-winning troubadour takes a listeners on a trip through the American West as she reflects on her own newfound independence and adulthood with the album, and it should be stunning to see the songs performed live in such a breathtaking setting. Since the Pulitzer Prize-winning food critic transferred to the Times, he's inaugurating a new tasting night that will coincide with the publication of the paper's first dining guide, Jonathan Gold's 101 Best Restaurants, which hits stands next week. Gold handpicked more than 20 restaurants, including Alma, Bestia, ink. Mozz, Squirl, The Hart & the Hunter, Kogie and Night + Market, for Angelenos to sample. Although the even is sold-out you have until 5 p.m. today (Thursday, May 16) to enter two win two tickets here. Good luck! From the highly successful songwriting team of John Kander and Fred Ebb, who brought the world such musicals as "Cabaret" and "Chicago," comes their final collaboration, "The Scottsboro Boys." With a book by David Thompson, Susan Stroman ("The Producers") directs this emotionally charged production that documents one of the most infamous events in American history. Nine African-American men are accused of a crime that they didn't commit and, even more, didn't even happen. As their tale is interwoven with innovative staging, beautiful music and extraordinary choreography, it's bound to touch a chord in every audience member's soul. Through June 30. The Angelenos take a one-night break in the midst of their worldwide tour in support of the their debut album album Wake Up's release last month for a hometown stop in Hollywood. If tracks like "Stars (Hold On)," my personal favorite "Forever" or their break-out hit "We Come Running" have yet to grab you, give their live show a chance. The explosion of sound and all-out energy will quickly make you a convert.